Bonita Title, Inc. is a title insurance agency with over 20 years of experience in the real estate industry. If you are buying, selling, or refinancing a home, we can help! Contact us today to find out about our wide range of services. Learn more. A home is a major investment. If you are buying a home, you need to be confident that your title will be free of liens and other potential defects. 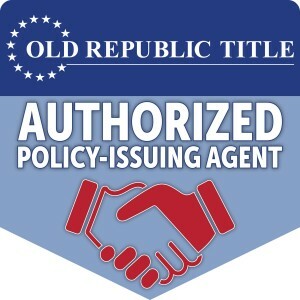 Our expert team will perform title and other lien searches and issue a title insurance policy so that you can be confident prior to closing on your purchase. If you are getting a mortgage, we will coordinate with your lender to ensure your closing is as smooth as possible. If you are selling a home, our staff has the experience and attention to detail necessary to make your transaction as smooth and hassle free as possible. Having closed thousands of real estate transactions, we have encountered and are equipped to handle almost anything. We understand that you and your clients want a closing process that's both hassle free and convenient for all parties involved. Our goal is to provide a level of service that allows you to focus on your business. We understand that referrals and repeat customers are the lifeblood of your business, and we are passionate about helping you to establish and maintain client relationships through our expert service. We understand the importance of compliance in today's challenging regulatory environment. In addition to providing great service, Bonita Title complies with industry regulations and standards including ALTA's Best Practices. We provide fast and accurate estimates of closing costs, and we have engineered our process to help you achieve a smooth and error free closing. © Copyright 2016 Bonita Title, Inc.